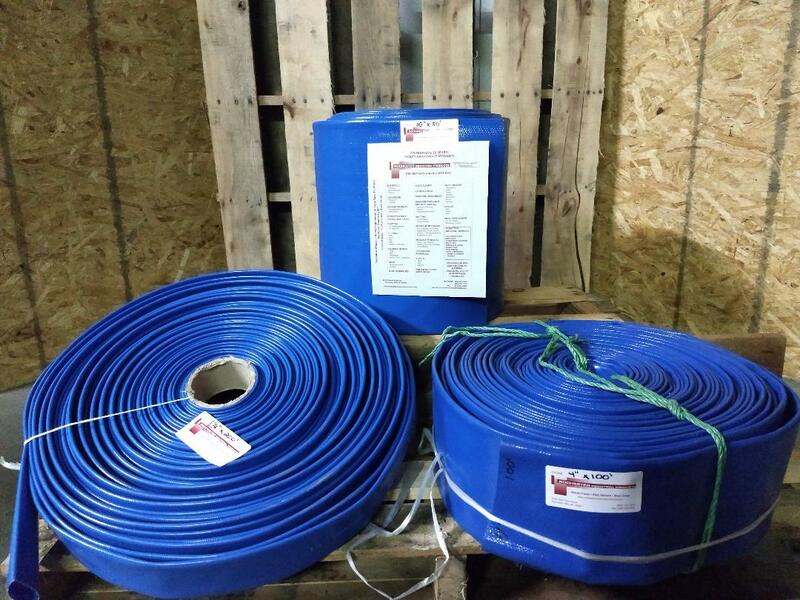 CUT LENGTHS OF STANDARD DUTY LAYFLAT DISCHARGE HOSE PRICED TO GO!! Some customers require shorter length hose assemblies for special applications. We ALWAYS accommodate the customer, but sometimes we are left with short lengths of hose. WE ARE SLASHING PRICES ON THE OVERSTOCK CUT LENGTH PVC DISCHARGE HOSES LISTED BELOW!! 10″ x 50 ft. – List Price – 21.55 per ft. / Sale Price 7.20 per ft! 4″ x 100 ft. – List Price – 2.07 per ft. / Sale Price 1.24 per ft! 3″ x 150 ft. – List Price – 1.53 per ft. / Sale Price 0.92 per ft! 1.5″ x 200 ft. – List Price – 0.69 per ft. / Sale Price 0.41 per ft! Not in need of discharge hose? We have short lengths of many other hose types including steam hose, chemical hose and more! If you are looking for a short assembly or bulk hose give us a call!